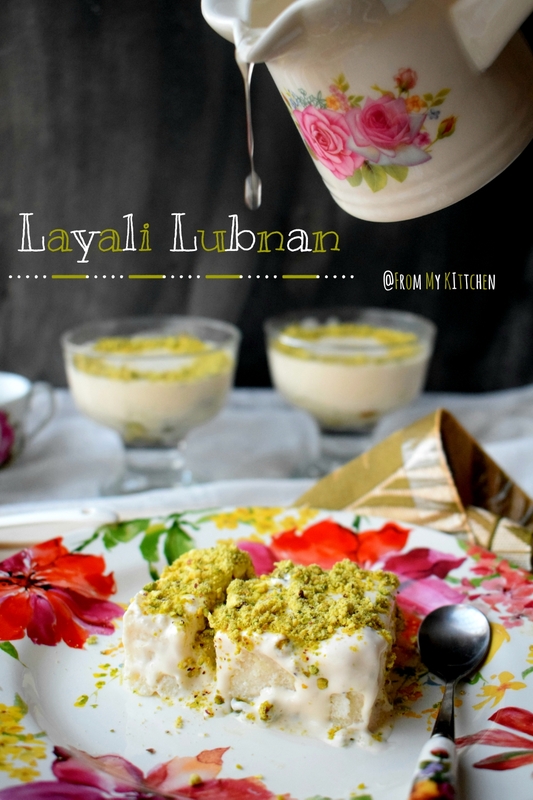 Talking about today’s dessert, Layali Lubnan aka Lebanese Night is a well known dessert not only in Lebanon but through out the Middle east.It’s base is amazingly fragrant and soft semolina pudding, topped with cream followed by the sprinkling of powdered pistachios and then serve it with simple syrup on top for the sweetness!A melt in mouth creamy dessert that prepares in no time. When the pudding starts to boil and thicken, remove from heat, add the rose water and orange blossom water, give it a good stir so they are well dissipated.The consistency should be creamy,not too thick. Immediately pour on a pudding tray and spread it evenly.Let it cool completely at room temperature. 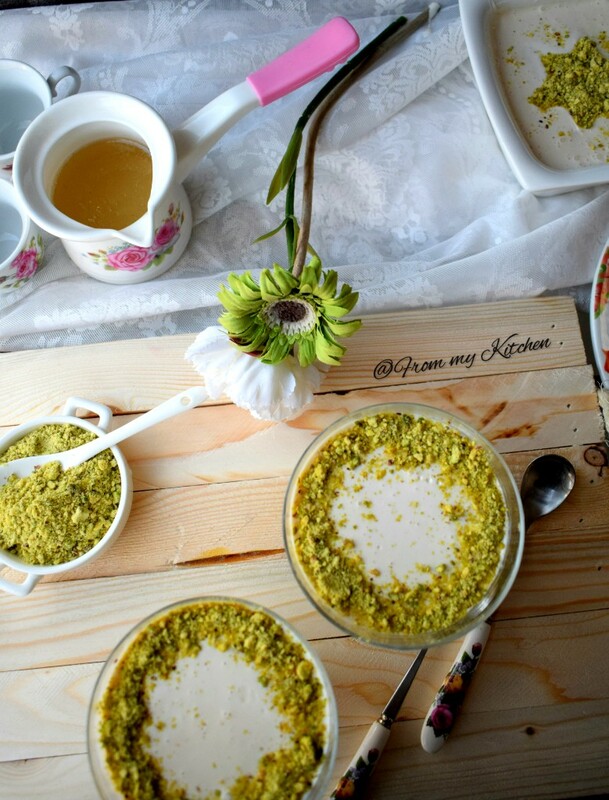 Top it with powdered pistachio and chill it. Prepare simple syrup by melting sugar and water,Add 1 tsp of lemon juice to prevent crystallizing the sugar. When you are serving the dessert pour the sugar syrup on top and dig in! Note: I poured some simple syrup on the base too. 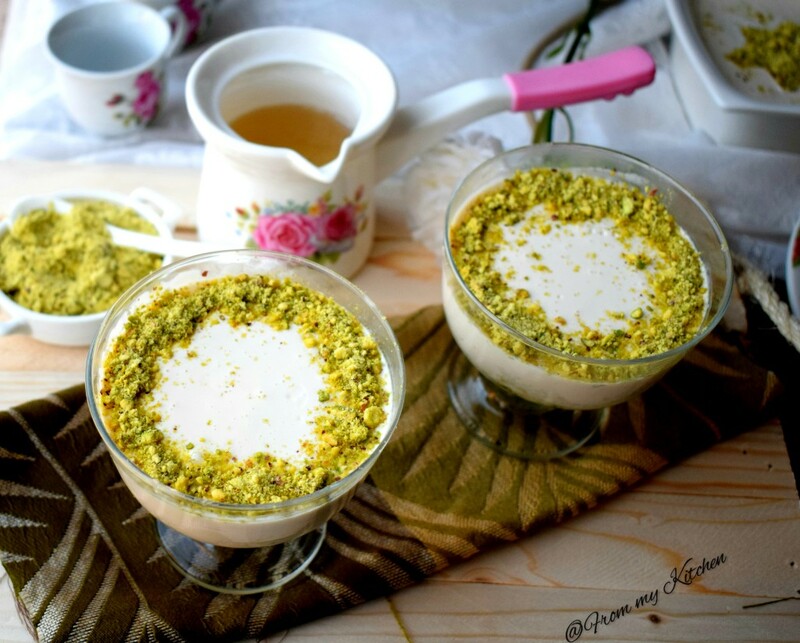 This can be served in short glasses or in a pudding tray!Hope you all enjoy this easy peasy dessert!😊Here we just loved it! 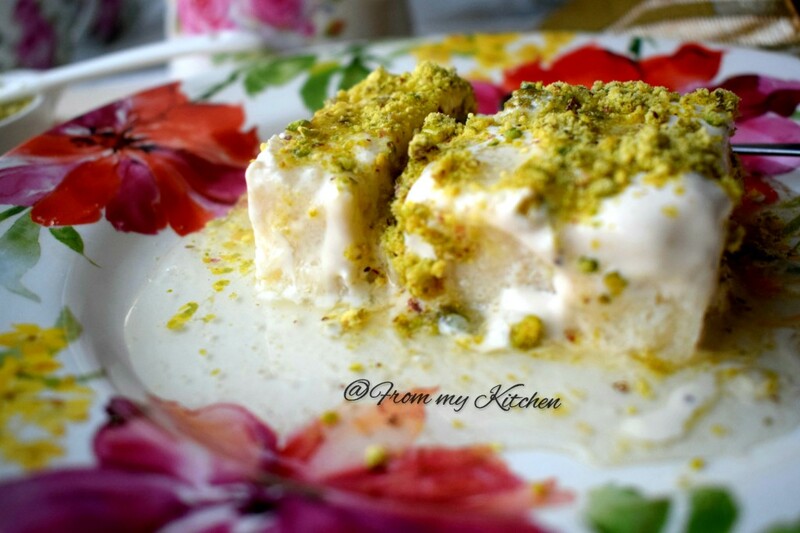 Check out the delicious Arabic Desserts prepared by fellow bloggers! HAHAHAHA We made the same sweet dish! 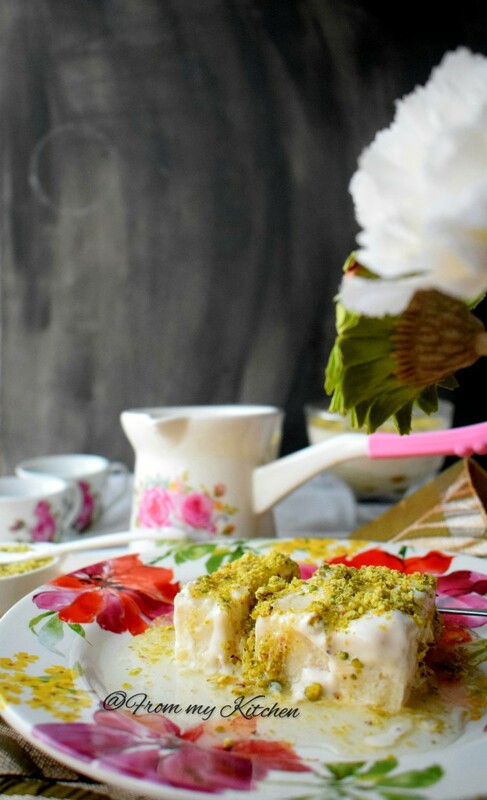 🙂 And this “My most favorite dessert in this part of the world is Kanafeh and baklawa(next on my bucket list)” is almost my first line on my post! 🙂 MashaAllah! I am grinning at our coincidence! Fantastic clicks and that plate… I have the same but a large serving platter (I used in for my Saleeg post) Red Tag! 🙂 I gave it to my mom — it is too big for us!